This tower of hampers is filled with kosher comfort foods. 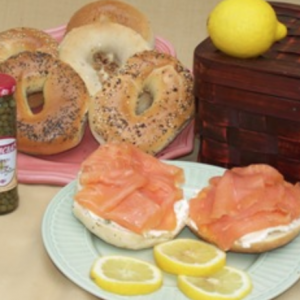 Your loved one will receive bagels and Nova Scotia smoked salmon, both plain cream cheese and chive cream cheese. We’ll include capers and a lemon. In the next hamper will be an assortment of our fresh breads, a Hebrew National Kosher hard salami, and some deli mustard. We’ll include an assortment of crackers. 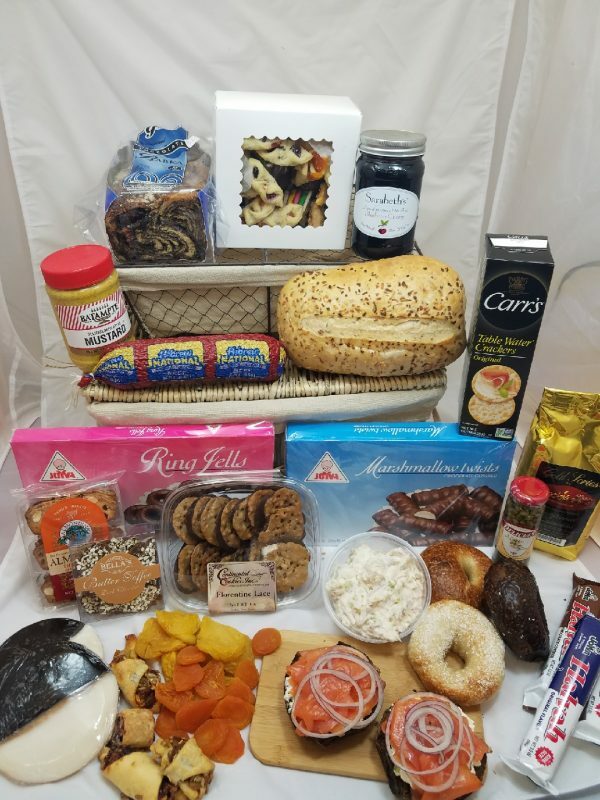 The largest hamper will be overflowing with kosher goodies, such as Green’s Babka, Erica’s Rugelach, an assortment of cookies and preserves. From Joyva, we’ll include Jell Rings, Marshmallow Twists, and Halvah. Your gift recipient will also find an assortment of dried fruits, a bag of pistachios, a box of almondina cookies and some chocolate.